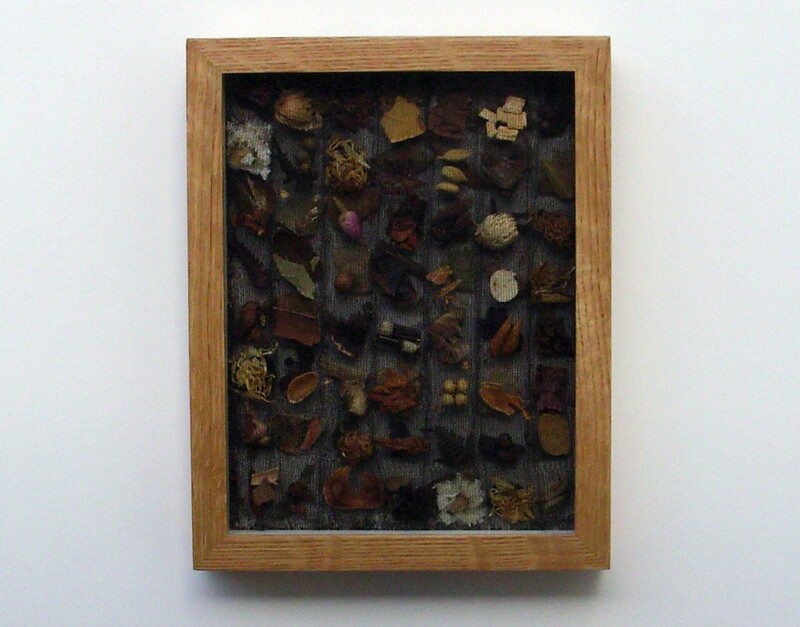 ‘Forest’ is one of a series of 5 small frames upcycled from an early Pharmacopoeia work ‘Raw Materials’. Originally a 3 metre long narrow cloth was displayed with others to represent tree trunks. The knitted pockets contain fragments of leaves, seeds, flowers and bark from medicinal plants which have been used in complementary therapies. Some form the basis of more familiar treatments such as aspirin (willow) and digitalis (foxglove). 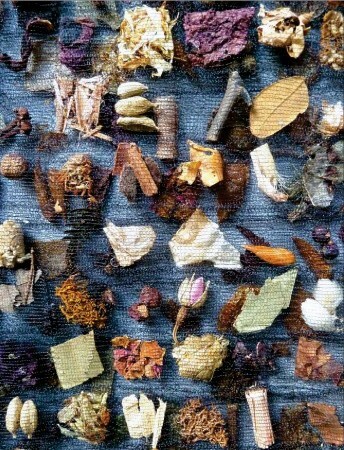 Here is a list of contents: balm of gilead, bay, borage, bracken fern, cannela, cardammon seeds, cassia bark, chamomile, cloves, eucalyptus, finland moss, foxglove, garana seeds, gotu kola, hawthorn berries, hibiscus, juniper berries, mace blades, marigold flowers, mistletoe, mullein, parsley root, poppy petals, rose hips & flowers, saw palmetto, senna leaves, star anise, uva ursi leaves, willow bark. 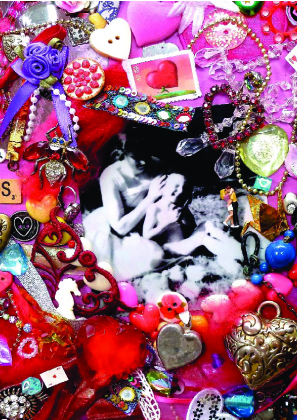 This is Wilde, a collection of trinkets and love tokens and a quotation from Oscar Wilde: Women are meant to be loved, not to be understood, all together in lacy pockets inside a gessoed frame. ‘Wilde’ is a different kettle of fish. 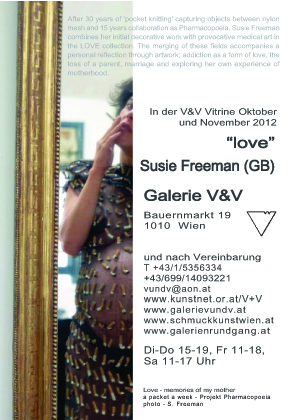 ‘Love’ is an ongoing theme in my personal work and I currently have an exhibition in Vienna with that title. 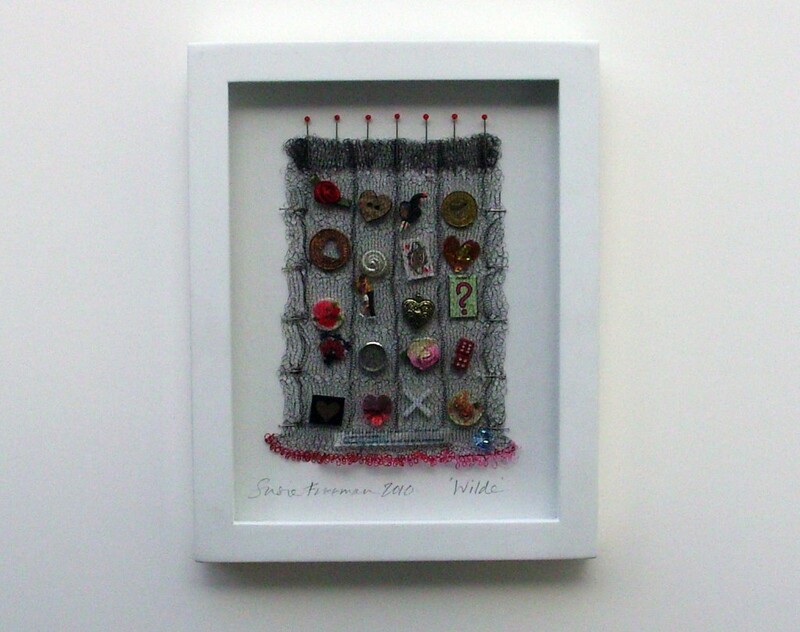 See Susie’s exhibition at Galerie V&V and see more work at The Rowley Gallery. 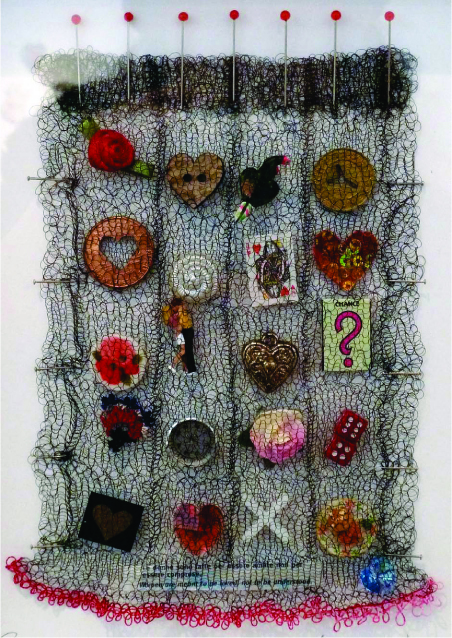 This entry was posted in Art, Textiles and tagged Galerie V&V, Oscar Wilde, Pharmacopoeia, Susie Freeman. Bookmark the permalink.